Eucalyptus Essential Oil Benefits: One Magical Cure-All! 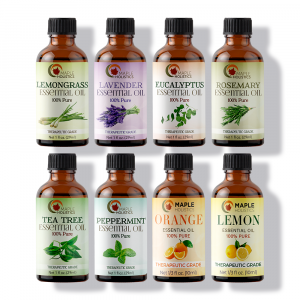 Home | Essential Oils | Eucalyptus Essential Oil Benefits: One Magical Cure-All! Is Eucalyptus Essential Oil Safe For Dogs? Have you ever had a cold, cough or headache that you’ve struggled to get rid of? Any of these can leave you feeling miserable, drained, irritable and generally out of sync with yourself and your daily routine. You want to stay in bed all day, but you can’t sleep. You miss work or functions with friends because you worry about infecting others or simply don’t have the energy to deal with anything. Not to mention the cold sweats, fever-temperatures and sore throat that are often accompanied with the infection. To date, there is no direct cure for the common cold. There are many ways to treat it, but really the best advice I can offer here is that prevention is your only real hope – and that means staying healthy and building up your immune system as best as possible. However, at some point in time, catching the cold is an inevitability. When that day comes, I highly recommend that you treat the symptoms with a natural product (or natural products). In this case, I will be focussing on the healing benefits, and various other uses, of eucalyptus oil. Eucalyptus oil does more for the common cold than almost any effervescent treatment or nasal spray – but the healing benefits of this amazing oil don’t stop there. Find out more about this amazing natural remedy below. What Is Eucalyptus Essential Oil? Where Does It Come From? The eucalyptus tree (or shrub, in some cases) is native to tropical and temperate climates and occurs naturally in areas like Australia, Africa and the Indian Subcontinent. However, due to a surge in the trees popularity over the course of the 20th century for its strong antiseptic and antibacterial qualities, the tree became cultivated all over the world. It is now also cultivated in the Americas, Europe, China, areas of the Mediterranean and the Middle East. However, eucalyptus cultivation is quite a tricky process as the tree is known to have allelopathic qualities – which essentially means that it releases chemical compounds into the ground via its root system and is harmful to other tree and plant species that might grow around it. The eucalyptus tree does this largely because it needs a large amount of water to survive – so will kill off any competing plant life in order to sustain itself. Due to this, the eucalyptus tree (also known as the ‘Blue Gum’) is considered a harmful alien, and strict regulations and policies must be adhered to when cultivating the tree. Eucalyptus essential oil is the concentrated, pure nutrient extract of the eucalyptus leaf. One of the main, active ingredients in eucalyptus oil is an organic compound known as cineol. It is responsible for the oils strong, musky odor and a lot of the antibacterial/antiseptic properties of eucalyptus oil. Interestingly enough, the world’s largest producer of cineol oil is China. This is often blended with or derived from camphor oil and sold as eucalyptus oil – even though it isn’t pure extract. Countries that generally produce and export pure eucalyptus extract are Australia, South Africa, Brazil and Spain. Generally, the pure extract is made via the steam extraction process – an age-old and trusted method of removing the nutrient extract without any chemical additions or rectification (basically a blending of oils in order to bring up the grade of the oil). The steam process utilizes heat and water to produce steam (hence the name), which then moves through long, glass tubes and passes over the organic matter (in this case, an amount of eucalyptus leaves). The steam separates the nutrients of the organic material and carries them in a vaporous state to a separate, condensation chamber, where the liquid cools into drops that form the final product – pure eucalyptus essential oil. As I mentioned in the opening paragraph, generally the only cure for a common cold is prevention. Though, getting the cold is practically inevitable – it comes with being a human and is part of our condition, one could say. However, once you start to experience the symptoms of the cold (headache, sore throat or a cough, runny nose, fever etc. 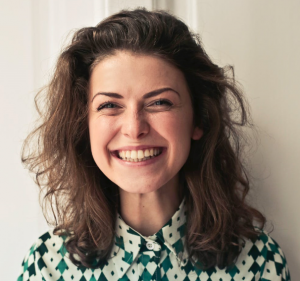 ), it’s important to treat them seriously and act fast as in some cases the cold can morph into bronchitis – which is a pretty severe infection of the mucous membrane in the bronchial tubes (where the trachea splits into each of your lungs) due to an excessive buildup of infectious mucous in your throat. 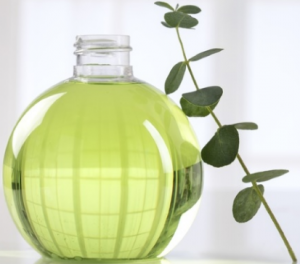 Eucalyptus oil is known for its strong antibacterial (or antimicrobial) and antiseptic properties. This makes it ideal as a an effective treatment for the common cold and the symptoms that accompany it such as a fever, headaches and blocked sinuses among others. In order to take advantage of eucalyptus oil to its maximum potential, I recommend that you use it with steam inhalation and that you blend it with both peppermint and orange essential oil. However, it will work on its own. Simply add roughly 7-8 drops of eucalyptus essential oil to a pot of boiling water and lean over it (with at least 10 inches of space between your face and the water to avoid steam burns). Cover your head with a towel, close your eyes and breathe in through your nose for no longer than 2 minutes at a time. The steam should loosen any mucus that may be stuck in your sinuses and the essential oils will work to kill of any germs that lead to the infection as well as helping to fight your fever and relieve any head pains you might have. In order to strengthen the healing effects, apply a dab of the eucalyptus oil to your temples and massage them in circular movements. Eucalyptus is an incredibly helpful agent when it comes to caring for your hair and is a natural replacement for a wide variety of typical chemical treatments that we generally use on a daily basis. 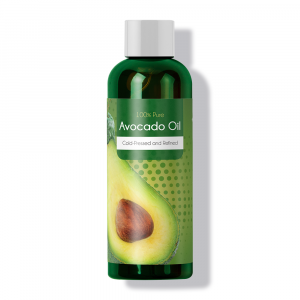 When massaged into your scalp, the nutrient rich oil penetrates the skin layer and helps to nourish your hair follicles from the inside – not only as a superficial treatment like most shampoos. This means that your hairs will be healthier, stronger and can even encourage growth when repeated on a regular basis. The antimicrobial qualities of eucalyptus oil also aim to fight off the common malasezzia fungus – the most prominent cause of dandruff. By moisturizing your scalp and relieving you of inflammation (dryness or itchiness usually caused by the fungus), eucalyptus oil treats not only the symptoms of dandruff, but fights off the root cause – meaning that you’re sure to eradicate the issue on a permanent basis. The eucalyptus oil will also help to regulate the sebum oil that your scalp produces and will ensure that excess sebum doesn’t get released – which usually clogs your pores and can lead to slower hair growth, breakage or even hair loss. Scientists have proven that eucalyptus contains a high amount of ceramides (which are essentially a mixture of amino and fatty acids) that help to improve hair elasticity and increase the strength of the hair follicles from the center. This means less breakage, more volume and less split ends too. Eucalyptus oil can be applied as a natural shampoo substitute or mixed into your current conditioner or shampoo to strengthen the effects. 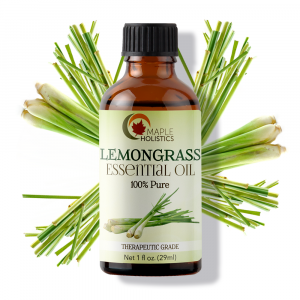 You can mix it in with a carrier oil (preferably coconut, jojoba or almond oil) and massaged into your head as a hot oil treatment that will penetrate deeply into your scalp and encourage hair growth as well as strengthen your hair follicles from the roots – making them stronger. The oil also smells great, so you’ll feel and smell fresh all the time. Eucalyptus oil can be applied topically to the skin much like a lotion or moisturizer. Not only will the eucalyptus oil moisturize and hydrate the skin, it will also kill off any germs that your skin may come into contact on a daily basis that usually lead to blemishes or sometimes even causes rashes. Eucalyptus oil can also be used to treat healing wounds as a natural antiseptic and will enable faster healing due to its analgesic qualities. This basically means that it works to thicken your blood cells and improve clotting which will enable the wound to seal quicker – another important fact to preventing infection. 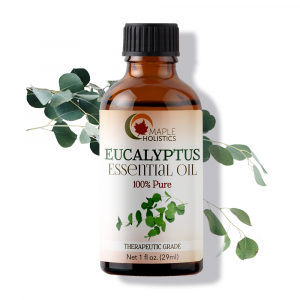 Eucalyptus also has a strong, pungent woody odor that makes it ideal as an insect repellent and has been used by the aboriginals for many years to fend off annoying insects. 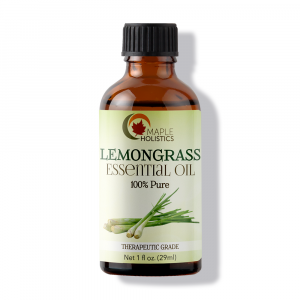 The oil also helps to heal any bites that may have occurred and can be used to treat any reactive or allergic rashes that may result from insect bites. Eucalyptus oil can even be applied to your face as a natural toner that helps to remove any dead skin cells and excess oil that certain skin types or prone to and generally blockup your pores, leading to blemishes and blackheads. Generally, eucalyptus oil is one of the best essential oils for treating superficial and topical ailments. 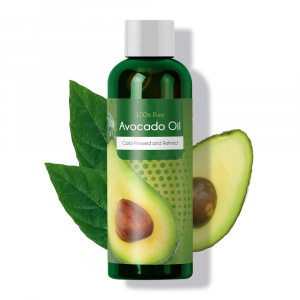 It can also be mixed with a carrier oil (such as almond oil of extra virgin olive oil) and massaged into the skin to help relieve muscle and joint pains. It really is a very versatile product of nature. Eucalyptus oil is very healthy for your beard and can definitely stimulate hair growth and keep your facial hair moisturized and healthy. The natural antibacterial properties of eucalyptus oil will also keep your facial hair clean as well as your face and the roots of the beard. In order to apply eucalyptus oil to your face, make sure you take a shower first. After taking a shower, apply roughly a thumb-sized amount of oil to your beard (2-3 drops for shorter beards) where it grows from your face i.e. the roots of the hairs. Make sure you allow the oil to sit in your hair for at least 30 minutes. After the time has elapsed, you can pat your beard dry with a towel or (depending on how the hair feels) even leave it in and go on with your day. Also remember to comb your beard daily. This helps keep it neat and clean, as well as stimulating healthy growth by slowing any knots, clumps or tangling that may form over time. The good news is that eucalyptus is very safe for dogs – but largely for external use. It can be mixed into a normal shampoo and used as a strong, natural anti-flea remedy. Simply wet your dog and apply the shampoo liberally. Massage the shampoo into your pet and create a foamy lather. Rinse and repeat daily until any evidence of the infection have left. The eucalyptus oil will also prevent any sores or wounds that your pet may have experienced due to flea bites and the antiseptic qualities will also help to remove any eggs that may have been laid during the infection. It is important to note that eucalyptus oil is not recommended for oral ingestion (for your pets) and should not be used on cats as they have a much more sensitive skin type to that of dogs and may be irritated by the oil. Read about the Flint Water Crisis at Maple Holistics! I think it’s easy to see why eucalyptus oil is so important to have in your home at all times! Literally everyone in your family can use for a variety of things and it’s definitely a cost-effective treatment for colds, the flu or any fevers that you or your family might experience during those wintery months or around flu season. Please note that the oil should not come into contact with your eyes at any point – or they’ll burn. Also, be sure not to ingest any of the oil orally unless you have the consent of a medical doctor and ladies – be sure note to use the oil during a pregnancy. If you start to feel dizziness, a headache or struggle to breath – be sure to stop using the oil and seek a doctor immediately. Otherwise, be sure to use the oil in regulated amounts and you should be safe.